One of the best ways to lose weight and maintain a healthy sugar level is to use all-natural sweeteners, rather than refined sugar or artificial sweeteners. Refined sugar can be very dangerous to your health as it contributes to obesity and puts you at great risk of diabetes. Natural sweeteners, whether made from plants or sugar canes have a number of nutritional benefits and have grown in popularity among the health conscious masses. However, Agave, Honey, and Maple Syrup can still cause blood sugar levels to rise which are dangerous for diabetes sufferers. This need for an all-natural and safer sweetener has paved the way for the development of two sweetener brands: Swerve and LC White Sugar Sweetener. 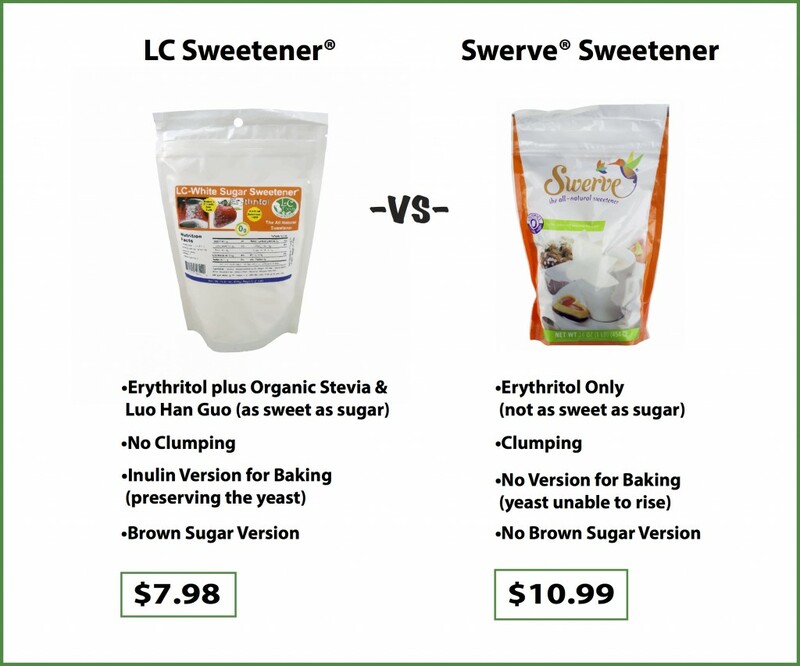 If you are feeling a little confused as to which of the two brands to use, a closer look at both Swerve and LC Natural Sweetener can help you make up your mind. One of the positive characteristics of Swerve is you can measure it cup-for-cup, like you would with any other type of sugar. 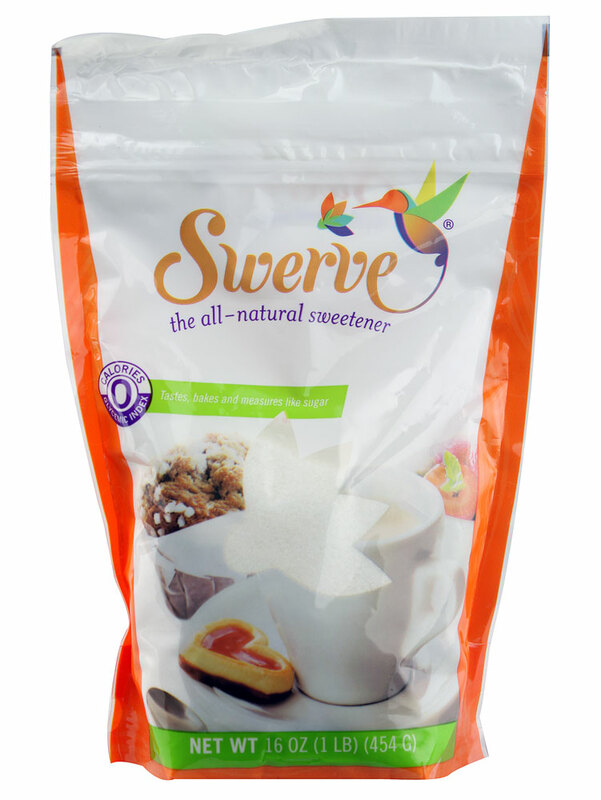 Swerve contains Erythritol, which is made from a combination of vegetable and fruit-based ingredients. This gives it a less sweet taste than your average refined sugar. Swerve also does not contain preservatives or artificial flavors. 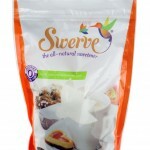 Swerve also does not have any bitter aftertaste that is associated with other natural sweeteners such as Stevia. Swerve also does not cause digestive intolerance among users unlike other types of sugar alcohols such as Sorbitol or Xylitol. Swerve however, cannot be used for baking because it contains Erythritol, that kills yeast which is necessary to make breads or cakes rise. It is available in white sugar version, and costs $10.99 per one pound bag. Swerve’s ability to caramelize and brown makes it useful for recipes that require sugar. Plus, there is no conversation charts needed when using Swerve. If your recipe calls for half a cup of sugar, then you will use half a cup of Swerve! 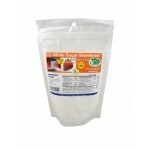 The White Sugar Sweetener from LC Foods is a sugar-free, low-carb, gluten-free, all-natural sugar alternative. It does not contain artificial sweeteners, MSG, or alcohol sugars. 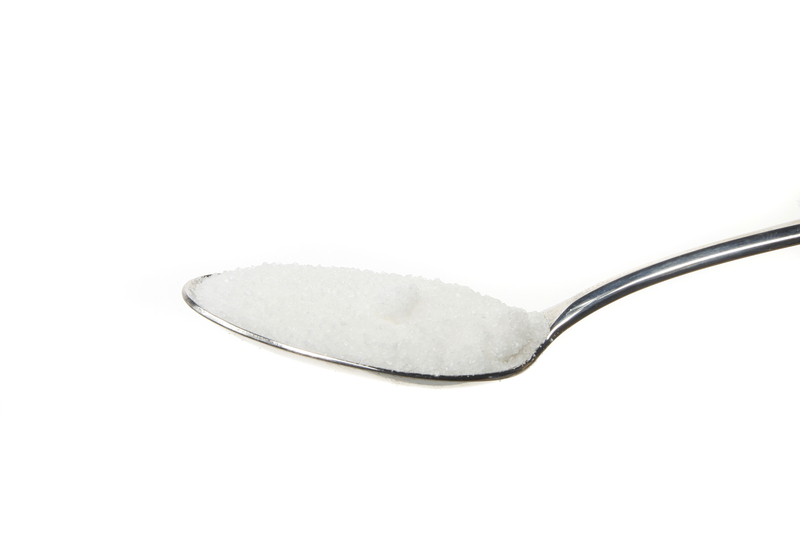 Users substitute LC White Sugar Sweetener for cooking, and to sweeten their favorite drinks. There is also no conversion chart needed since the product can be used 1 to 1 with regular sugar. LC Foods also has a brown sugar version to their natural sweetener product line, making them very popular for people who prefer to use brown sugar. The LC Brown Sugar Sweetener is also available in the market, and like its white sugar counterpart, tastes as sweet as regular brown sugar without the health risks. 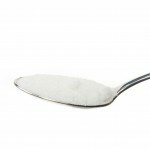 LC White Sugar Sweetener and LC Brown Sugar Sweetener are also budget-friendly. At only $7.98 per pound, you would never find a more affordable, healthier way to satisfy your sweet tooth! 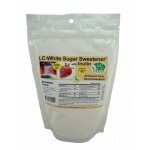 Unlike other brands in the market today, LC White Sugar Sweetener does not use vegetable-based sugars. It does not have beet sugar, corn sugar, or cane sugar as an ingredient. Instead, the product is derived from a fiber base sugar source called the Stevia Rebaudiana Leaf. 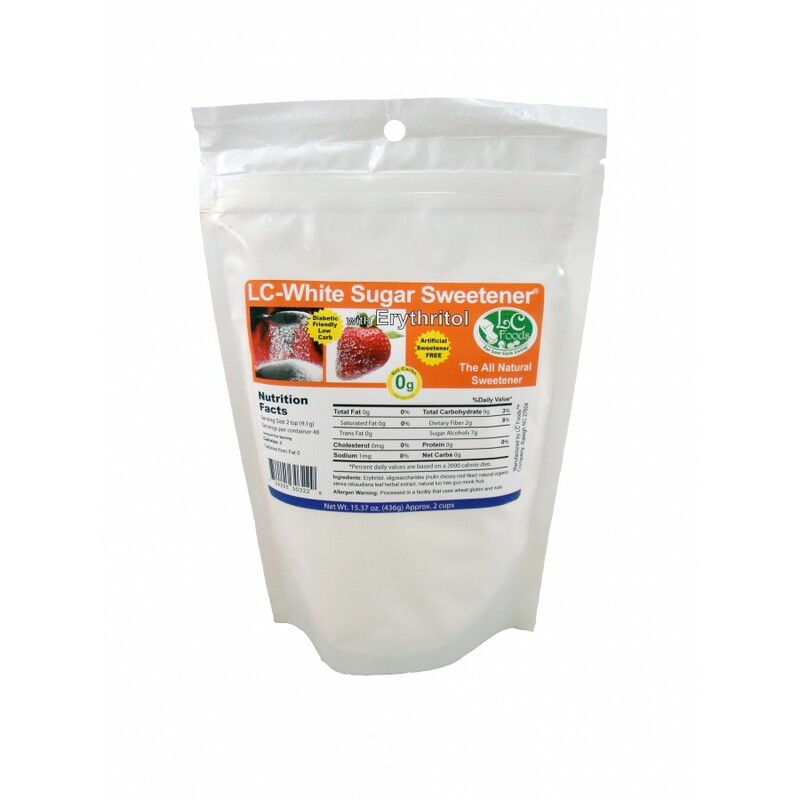 LC White Sugar Sweetener does not have a bitter aftertaste, and actually tastes like the regular sugar that you can buy off market shelves. This means you can enjoy your favorite drinks and sweet treats using LC White Sugar Sweetener without having to worry about your health. It contains no saturated fat, and is rich in dietary fiber, making it ideal for people who are trying to lose weight. By far the biggest advantage of LC White Sugar Sweetener over all other natural sweetener brands is the fact that it can be used for baking. Other natural sweetener brands tend to clump, and does not allow yeast to rise, which is necessary to bake cookies and breads. LC Foods have solved this problem by providing its customers with LC White Sugar Sweetener that contains Inulin. Inulin is an all-natural ingredient that helps preserve the yeast. 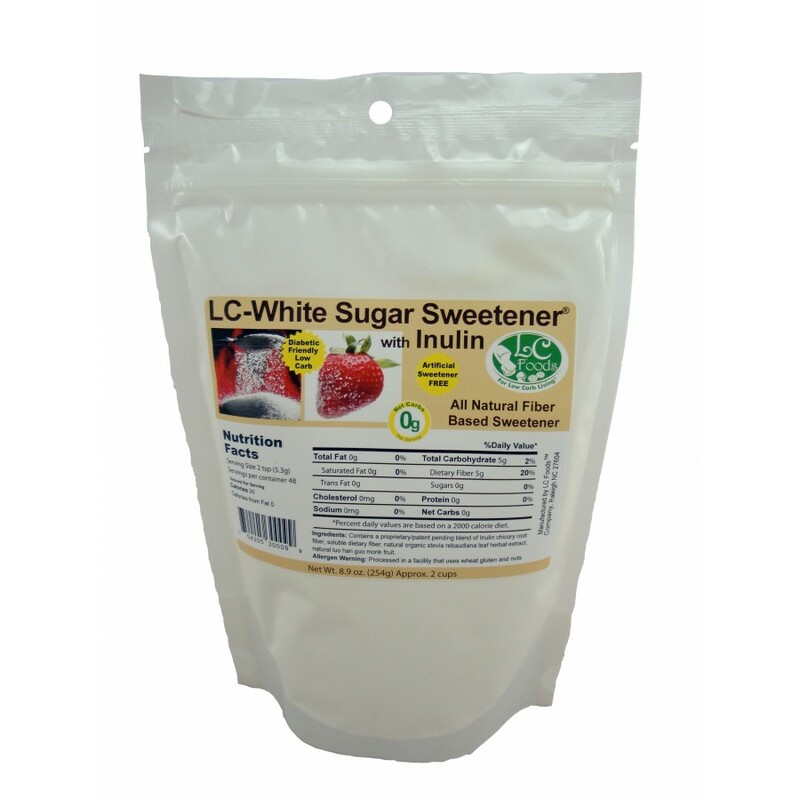 In addition, LC White Sugar Sweetener does not clump unlike other brands, making the product ideal for baking. With the increasing number of people suffering from diabetes-related health problems, looking into healthier alternatives is recommended. Pound for pound, Swerve and LC White Sugar Sweetener make for sweet solutions for the health conscious. COMPARE & SEE THE DIFFERENCE!